It's been awhile since I've done one of these posts--usually because I tend to float between sewing projects. 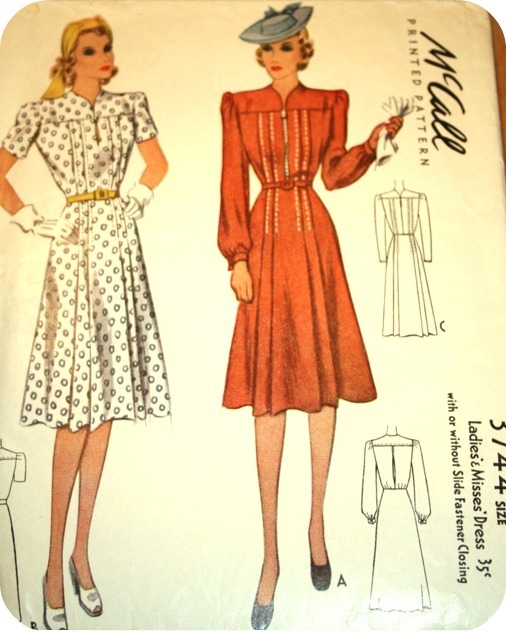 But lest you think I only sew 1940 McCall patterns, I've got a surprise--a modern sewing pattern! Gasp! When David saw this, he said....'I'd love to make one of those hats for you'...Really? YES PLEASE! How fun is that? My favourites? Views D and E.
I love all these forties patterns ! I'm sewing Butterick B6582 for the moment, in a light cotton voile. 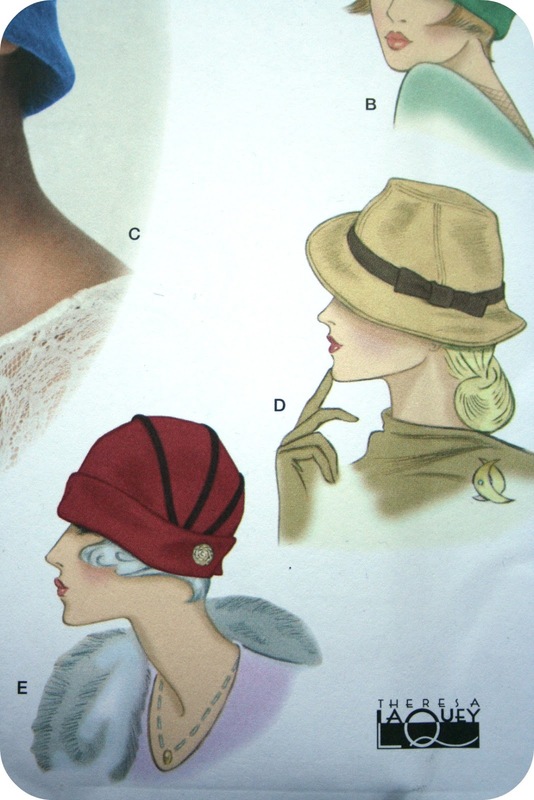 Ooh lovely patterns Debi I love the hat pattern would love to try to make cloche hat I like the look of view E.
Yes, the plaid version of that Simplicity dress is quite fetching, although I might add some darts under the bust. The designer's artwork made me do a double take, since at first glance it looked like the imaginary model had stilts for legs! 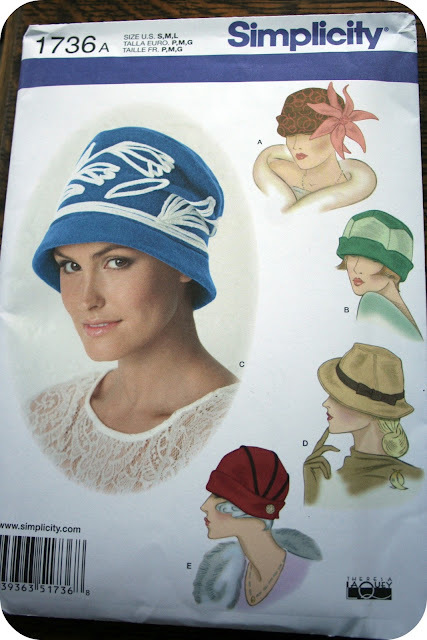 I've made 1736 view E and used the pattern to make many hats for friends during winter months. It is a fleece pattern and the pattern relies on the stretch of the fleece. I did a short review on patternreview.com. Happy sewing! Ooh love those patterns! I could totally see that modern one in a great plaid (like some that you showed me :D). The hats are wonderful, too. I could even see a view D with the 1940 dress you're working on as well! Lovely patterns! I always admire people that can wear hats - they never look right on me. :( I'm making a bag at the moment & pondering the next garment-to-be. Currently wending my way through a linen-cotton version of Folkways Metro Middy Blouse (http://www.folkwear.com/249.html)and a rayon duster pattern copied from the already cut pieces after I'd tossed the pattern. 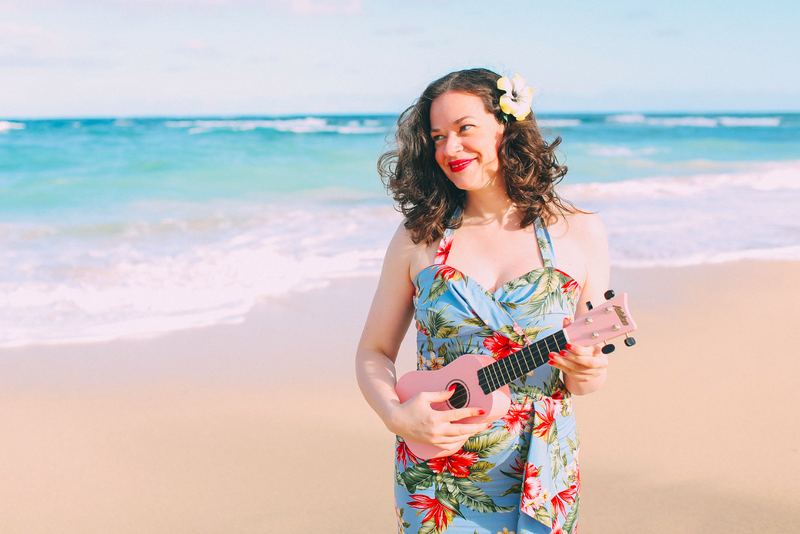 Then there's the culottes from my summer UFOs. Like your mod pattern, too. Funny that my eye also goes to current patterns with retro feel. So glad designers are doing this! LOVE the idea of linen for your McCall! Somehow the thought of that fabric in long sleeves never occurred to me, but makes perfect sense for your climate. You are a busy gal. That top modern pattern I love the one that looks sort of like a jumper. We used to wear jumpers in the 50's. in Donegal tweed - who knew you could make one!! The vintage pattern is lovely and in navy linen, swoon. Leanne was my favorite PR designer. Looks like another winner from her! My big project right now is a knit cardigan. I just started it on Monday and am to the halfway point. lovely choices i made the simplicity 1755 for my little girl last year for christmas using a teddy bear face fabric in the place of the plaid, looking forward to see your dress!! 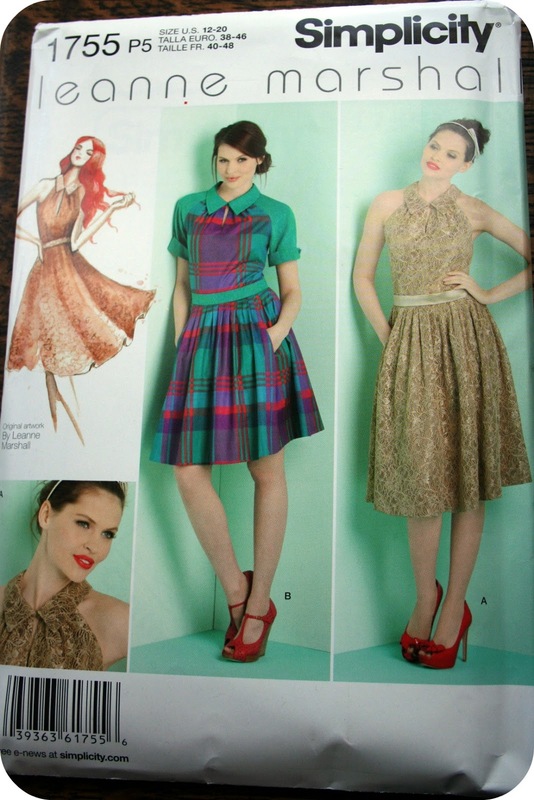 Can't wait to see Simplicity 1755 made up. I too have that pattern and bought it as soon as I seen that cute plaid dress as well.